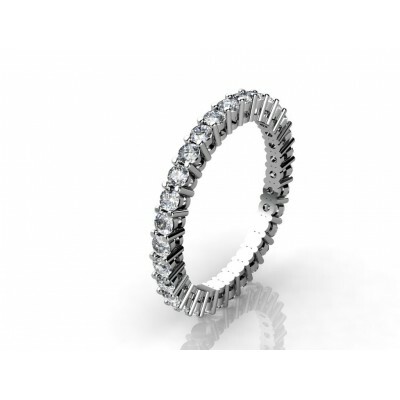 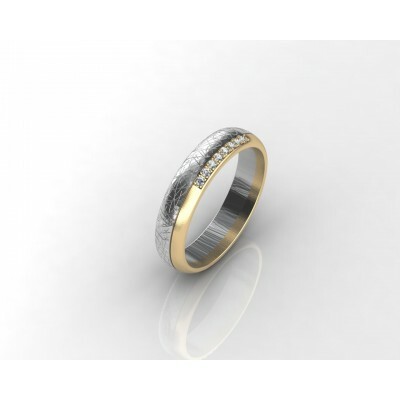 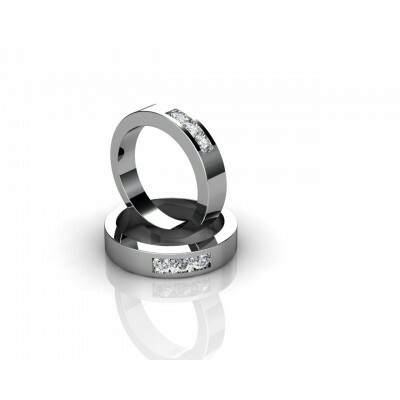 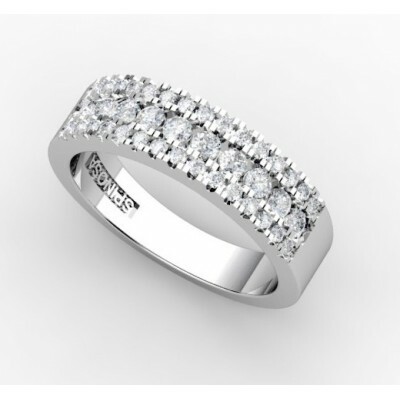 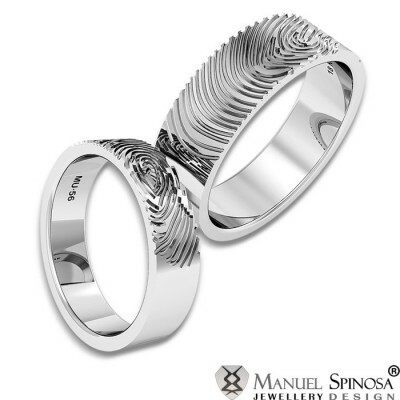 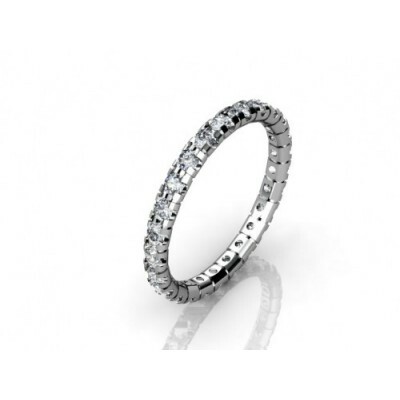 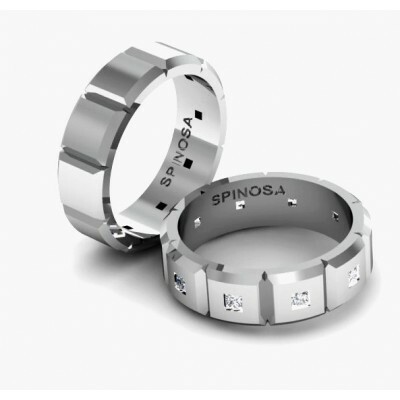 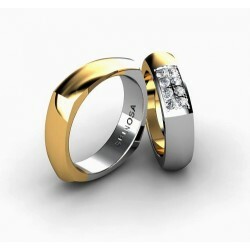 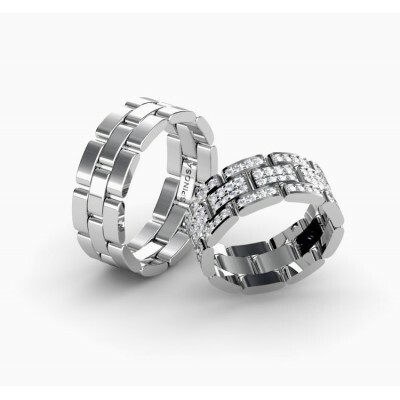 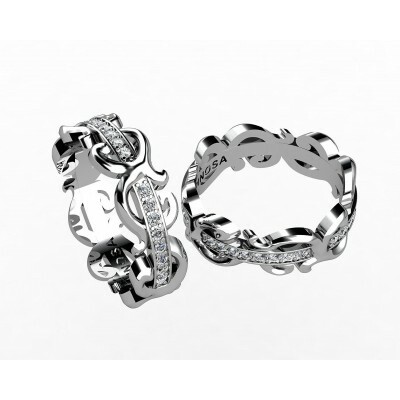 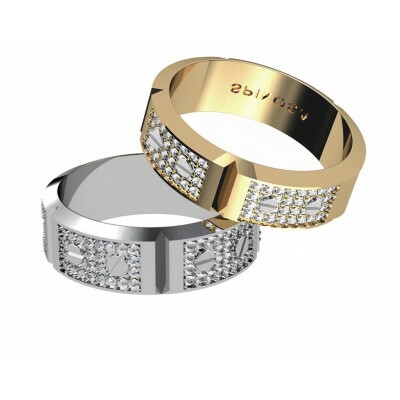 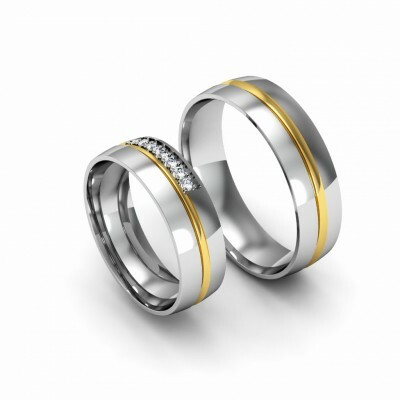 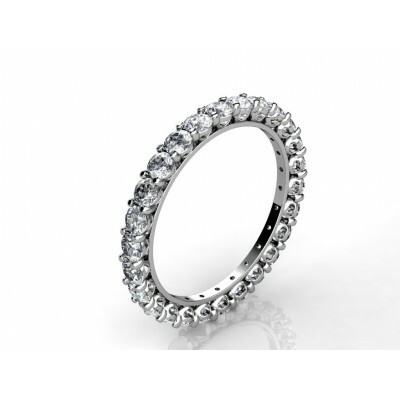 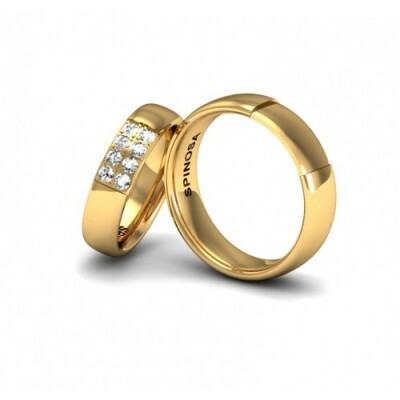 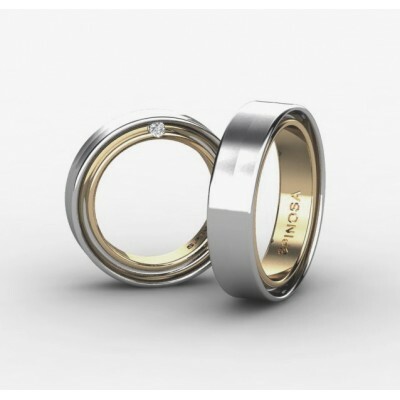 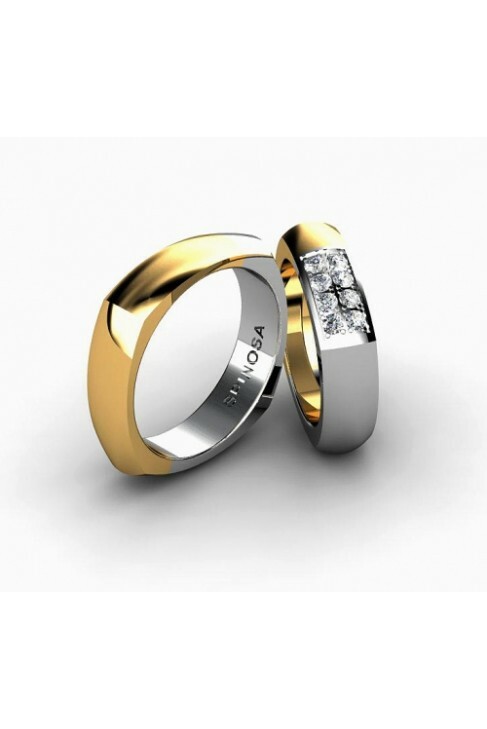 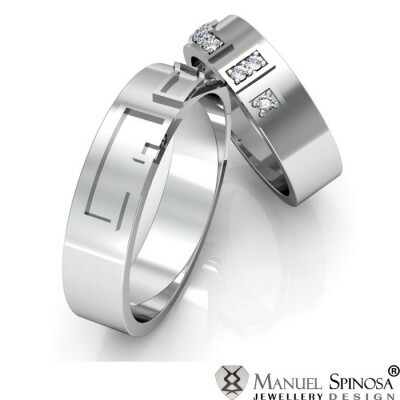 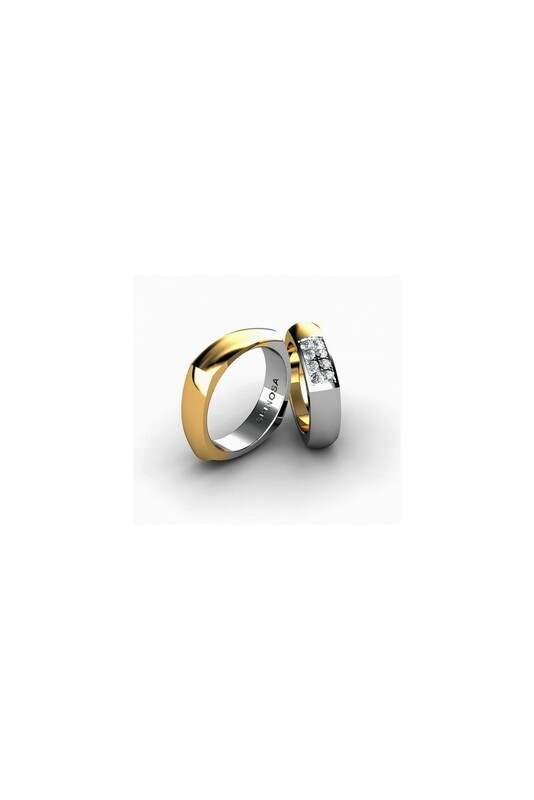 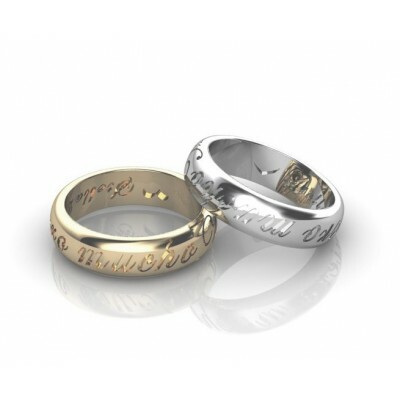 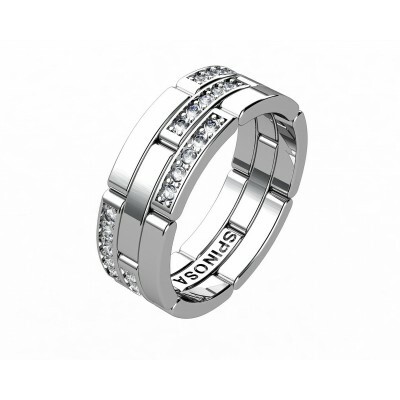 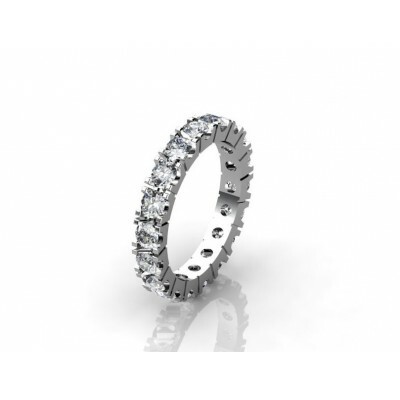 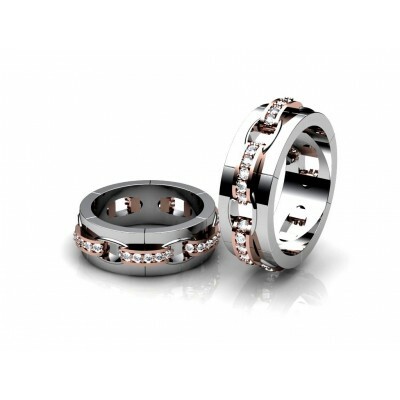 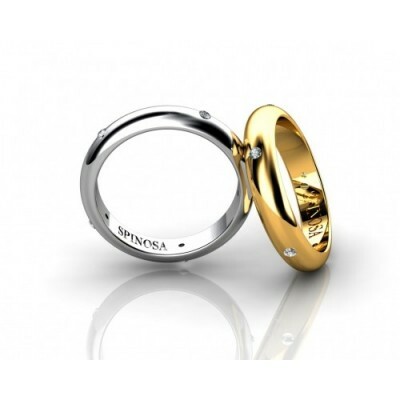 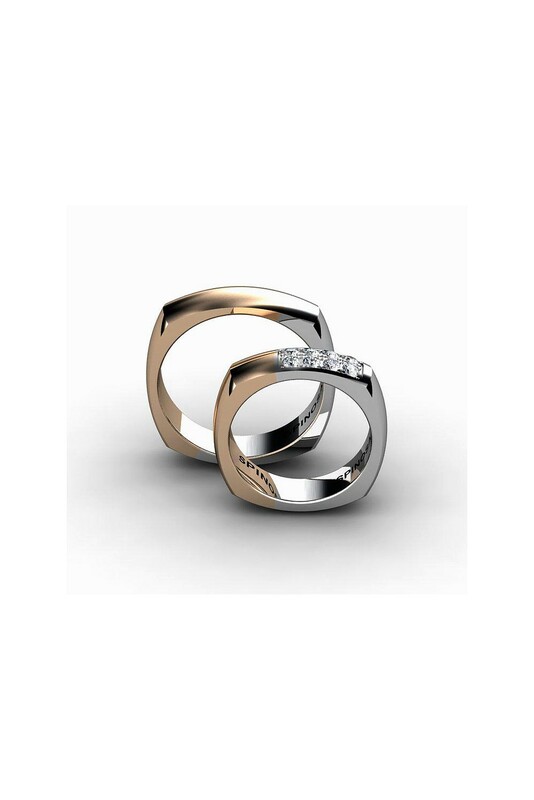 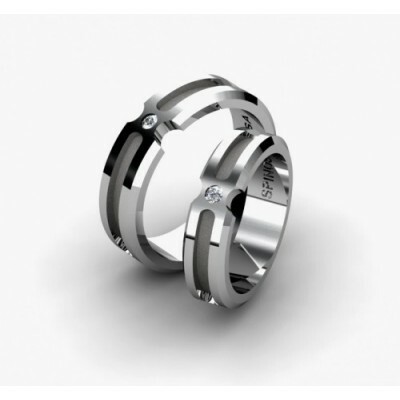 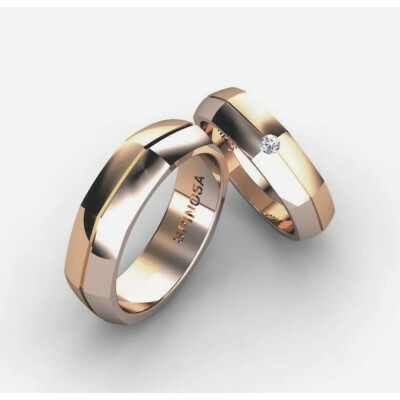 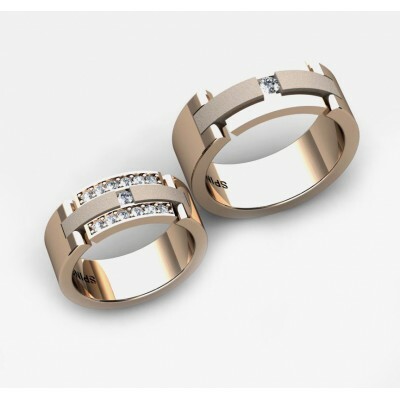 This wedding ring offers originality and has a modern design. 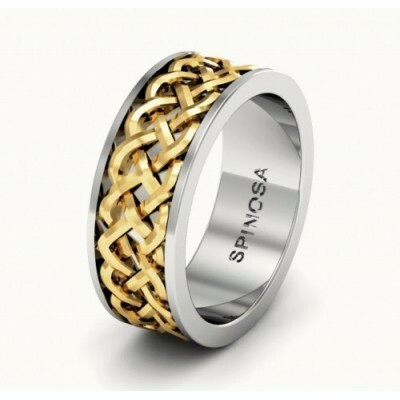 It is made of 18K gold in 2 color combination. 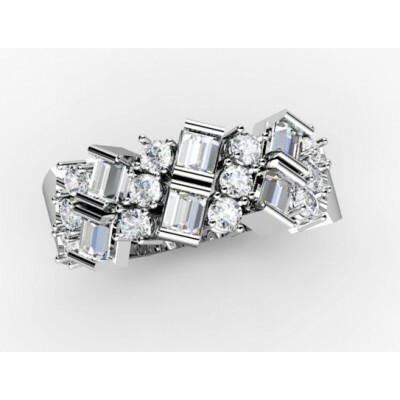 It is in a semi-square shape which enhances a modern look. 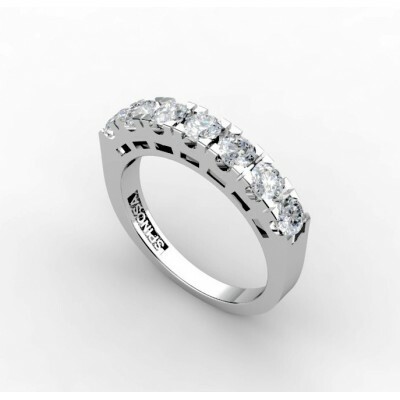 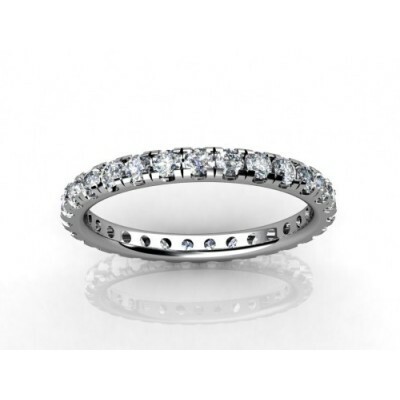 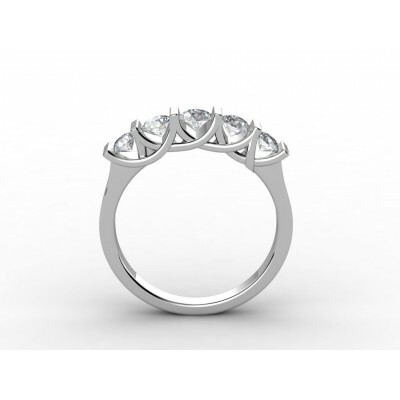 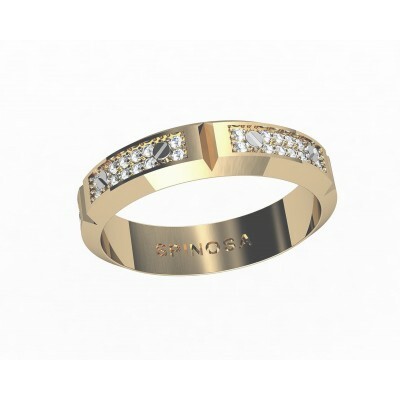 For the bride's ring, it has 8 brilliants with a total of 0.28 ctquality H-VS. 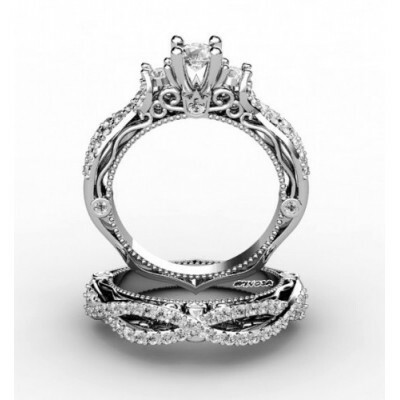 This will surely make your bride feel very unique.